Skepchick and awesome Skeptics Guide To The Universe member Rebecca Watson has made a final stop in Sydney after her whirlwind antipodean tour of Oz and Kiwi Land. 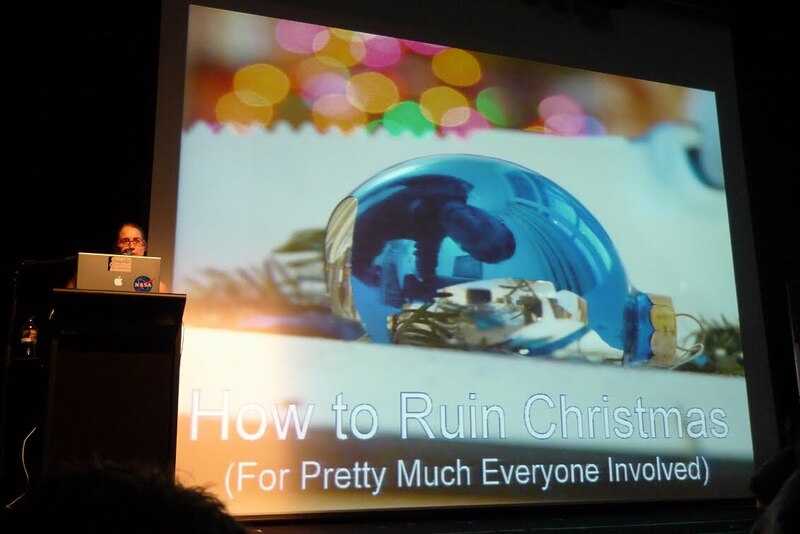 Rebecca's talk at the Manning Bar, the dry Manning Bar (they didn't open the bar dammit), was entitled How To Ruin Christmas (For Pretty Much Everyone Involved). 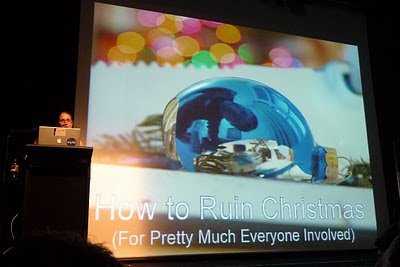 I don't think I'll be giving too much away by saying you don't ruin Christmas. You enjoy it more than the fundies and that will piss them off. As always Rebecca's talks are funny and informative and sometimes a little disturbing. But who the hell has heard of the lovely European Alpine tradition of Krampus? 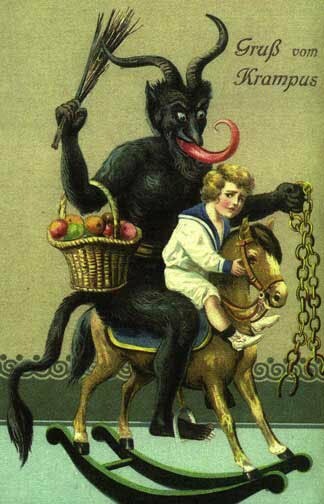 Krampus follows St Nick around and punishes the bad children. Tongues are involved. It is, as we say in this country, pretty fucked up. I love it. After the talk I walked home through Victoria Park and watched the ducks. 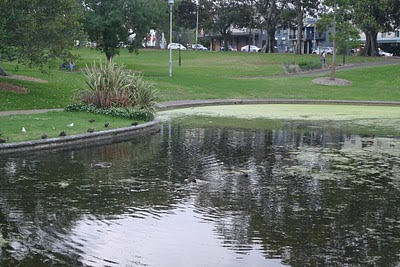 I like ducks. Szechuan style. As you can imagine I was pretty thirsty because the Manning Bar was closed (dammit). 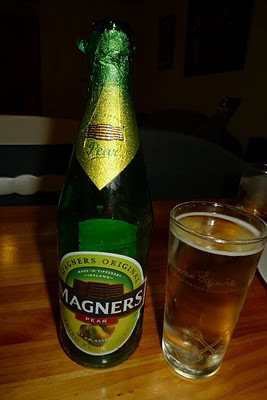 So I stopped in at a bottle-O on the way home and picked up a couple of brews including the Magners Pear Cider from Ireland below. Nice. Hilarious video. Who said the Germans don't have a sense of humour? Bizarre and twisted sense of humour. But still. Holy crap.